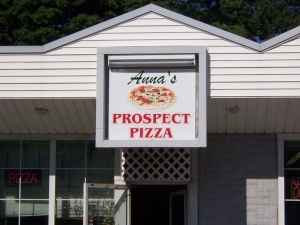 Anna’s Prospect Pizza Restaurant is located at 34 Waterbury Road in Prospect, CT.
We have been operating since 1978, and have for almost 35 years been making great pizza at great prices. We offer New Haven style pizza right in Prospect. No reason to drive all the way to New Haven when you can get it here!